If a robust demand-side intervention in California’s communities was brought to scale, what would it look like? California is famous for pioneering environmental legislation in America. Now it has stepped up to address climate change, with the passage of AB 32: groundbreaking global warming legislation, and a cap-and-trade system to support its implementation financially with approximately a billion dollars of investments a year. But what will it take to actually get substantive greenhouse gas (GHG) reduction in a timely manner? If a robust demand-side intervention in California’s communities was brought to scale - what would it look like? What could it achieve? 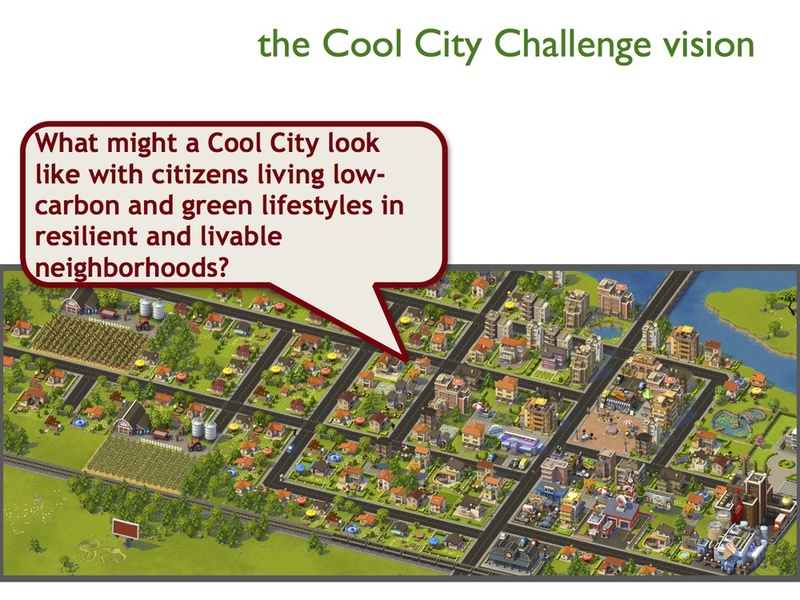 Click here for an historical account of the Cool City Challenge from the future. Working together, we can make it look just like this in 2020.